Jeff Cable's Blog: Olympic workflow - How I shoot, edit, blog and still survive! 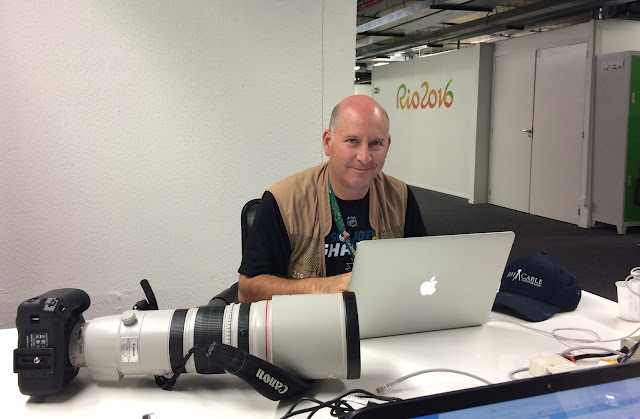 Olympic workflow - How I shoot, edit, blog and still survive! A lot of people have been asking me how I shoot the photos and turn them, and the blogs, around so quickly. So I wrote this blog entry to let you know how it is done. As I started to write this, I realized that I actually have two different workflows here at the Olympic Games. One of those workflows is for my contractual work (for USA Water Polo) where I have a tight deadline, and the other is for everything else. I have a contract with USA Water Polo that requires me to photograph every men's and women's water polo match. Without going into all the contractual details, I am obligated to get them at least 10 images from each match within minutes of each game ending. Actually, the game ends and I then get some photos in the mix zone (where the athletes are being interview by the press), and THEN I run to the press room to start my workflow. I run to my locker at the venue and grab my MacBook Pro and Lexar CR2 readers. Before doing anything else, I grab the cards out of camera and get them downloading. Since I am using the new Lexar 3500x CFast cards, the downloads happen incredibly fast! At this point, I start culling through the photos using Photo Mechanic to find the best ones for the team. I do this by ranking them in the software. When I reach the last of the photos, I then filter the collection to see only those that I have ranked. If it is 10-20, I then retouch each of them in Photoshop. If I have 30 or more favorites, I will often do a second pass to narrow that down a bit more. Those photos are resized and put into a Dropbox folder for my team contact. I can get them 3-5 key images within 15 minutes, and the remaining images in the next 30 minutes. As soon as this is all done, I will usually find my favorite photo and post that to my Facebook, Instagram, Twitter and LinkedIn pages. And sometimes, I will even select my favorite photos from the edited group and write a blog for all of you. This can take another hour or so. I also take any money shots (ultimate favorites) and copy them to my personal Dropbox and my Drobo 810n server at home. I also try and update my web page (using Zenfolio) too. I usually arrive at the venue 30 minutes early (to make sure I am on time and all my gear is ready) and usually get out of the venue about 2 hours after a game. It is a 4 hour time slot. Usually, once all this is complete, I am off to another venue, to take photos for me and all you blog readers. But for these images, I am not under any contractual obligations, so the process is a bit different. I am not posting these on any of the wire services, since I would rather blog the photos with all you blog readers than make a small amount of money from them. On a typical day, I will look at the Olympic intranet site and determine what events I want to go see (that do not overlap with any USA Water Polo game). I take the bus to that venue and shoot from whatever photo position I think is best. And, as you have seen, I take liberties to try creative shots that I could not do if I was under obligations to a team. In this case, I don't really care what country they are from, I am more concerned with getting nice photos to share. Once I capture these photos, I rarely stop and retouch them at the venue, I am usually trying to get to the next venue or back to my hotel. If I have a long bus ride, I will open my laptop, download on the bus, and then cull through the photos at this time. If I do this quickly and still have time, I will even start the retouching process as well. There is basically no downtime at the Olympics. A photo of me actually writing this blog. It's good to have a bunch of photographers around. If I have not culled through the days images, I also need to do that before going to bed. The SSD on this Mac in only 512GB and I frequently run out of space, so I need to get rid of duplicates and less desirable photos to make room for the next days downloads. Oh, and I never go to sleep until I have backed up my photos to at least 2 different WD Passport drives. Last night I backed up to all 3 drives, which then get put in different locations. Then, I sleep for a little bit, wake up and do it all again! Thanks for such an informative blog post. It is wonderful that you take the time to stay in touch with your readers with such a hectic schedule. That is a great picture of you, the computer and camera. That Canon really is a cannon! Hi from the UK! Thanks so much for finding time to blog AND taking lots of great shots! I've only just stumbled on your blog (via Instagram) and looking forward to catching up on everything you've posted so far ☺ Enjoy the last few days! What a great work, please keep on..
thanks for sharing these behind the scenes, informations and nice pictures with us on your blog. I would love to see how you actually edit in photoshop. Do you use the raw part and edit that way or do you open all in photoshop and edit then. Love to know, trying to get faster with my flow. 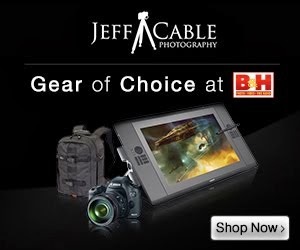 Thank You Jeff, Great work and your blog posts. Never shot the Olympics, have done much of everything else.